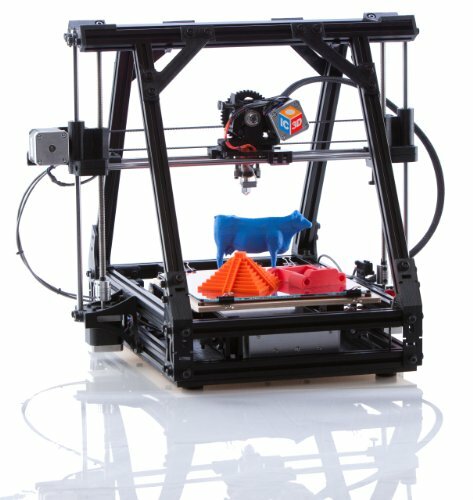 The 3D printers we build are based on the open-source Reprap project and utilize a MendelMax-type aluminum extrusion frame. This printer will arrive at your doorstep completely assembled, tested and tuned. All you have to do is install the free software, unpack the printer, and you’re ready to go. The two main philosophies behind our builds are RELIABILITY and SUPERIOR NVH PERFORMANCE (noise, vibration and harshness). Reliability is created by hardware reduction, application of proven features and increased frame stiffness. NVH is significantly reduced by the upgraded bearings as well as the whisper-quiet cooling fan. Even when printing at high speeds, our machines are SUPER quiet. You’ll be able to print in a quiet office environment or your in your living room while watching TV. Whether you’re an engineer wanting to reduce prototyping cost and lead-time, or an artist wanting to break boundaries, our 3D printers can be the solution to your problems. 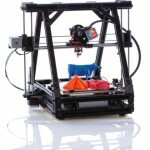 Extremely easy to operate, you’ll be off and printing your objects with just a little practice.